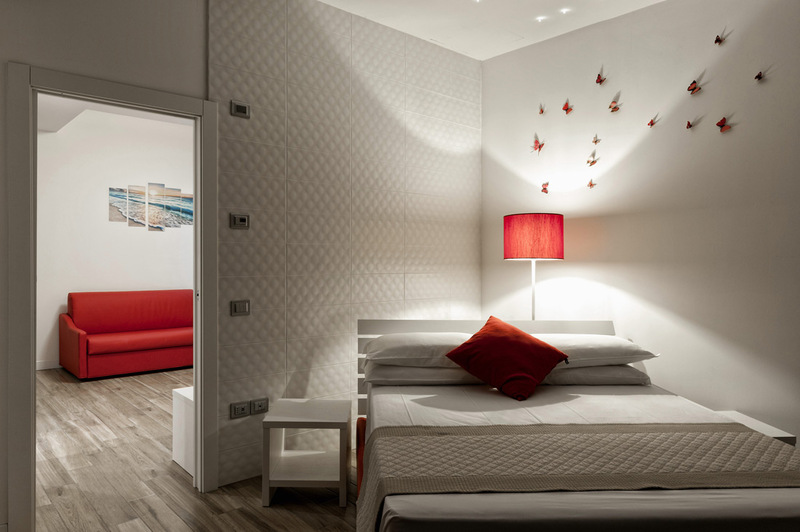 Hotel Nettuno offers over 100 exclusive environments, from hotel rooms to stylish aparthotel. 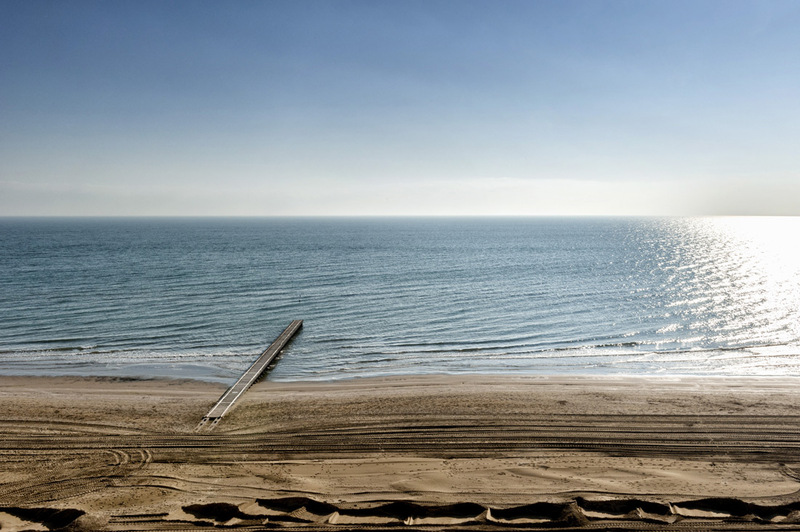 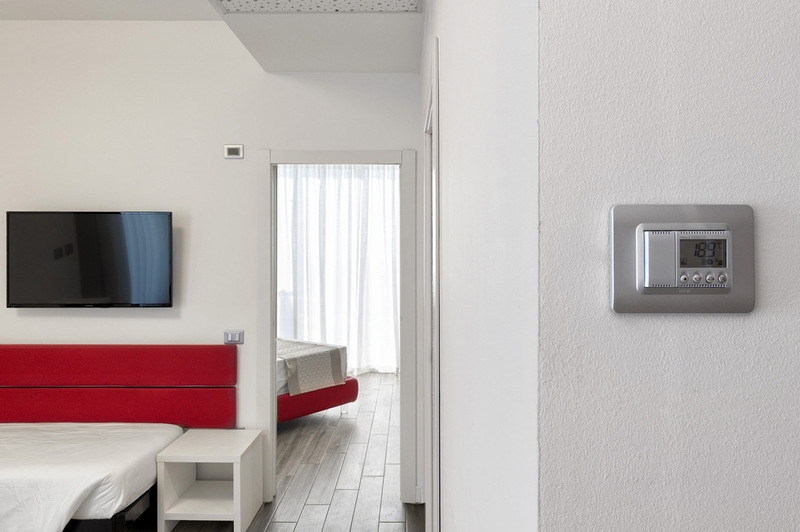 Placed in a prime seafront location on Venetian coast, in Jesolo town, this hotel has chosen the AVE wiring accessories series Allumia 44 to return to its guests the maximum comfort and innovative solutions, which will surely increase the level of offered services. 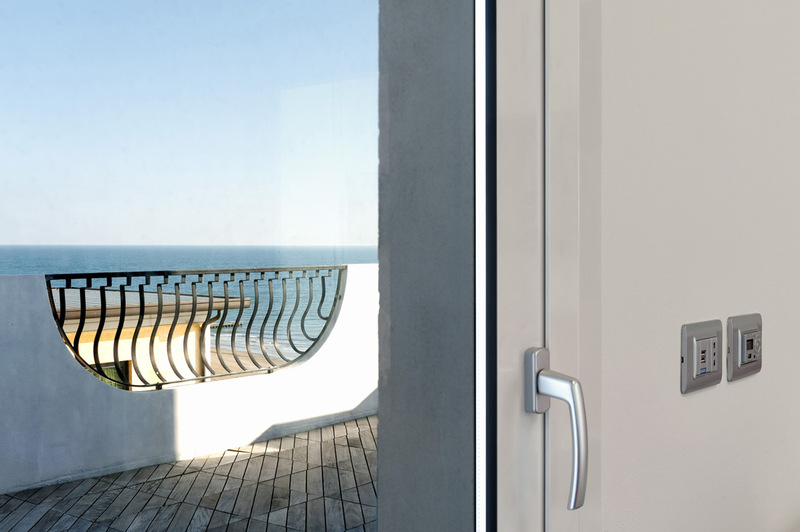 Allumia 44 is characterized by an elegant, linear, clean design. 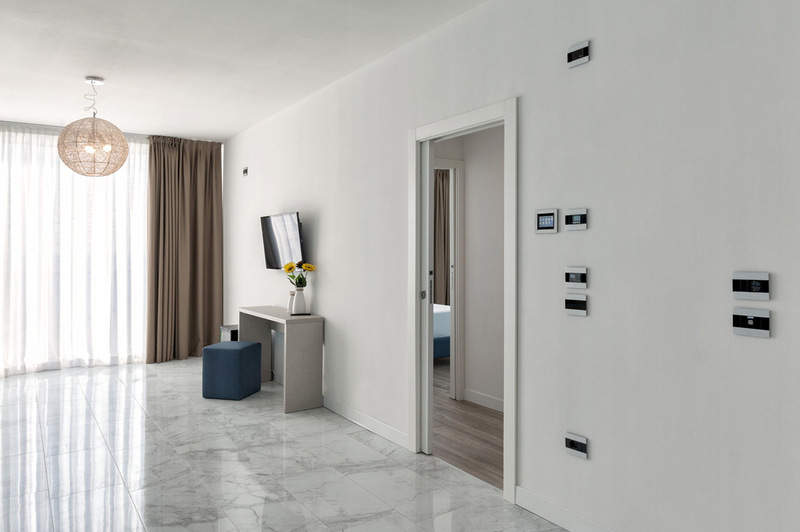 Switches, sockets and commands are surrounded by the “44 moulded” front plates, declined in natural aluminium colour with chrome inner frame, will fit right into each Hotel Nettuno’s rooms. 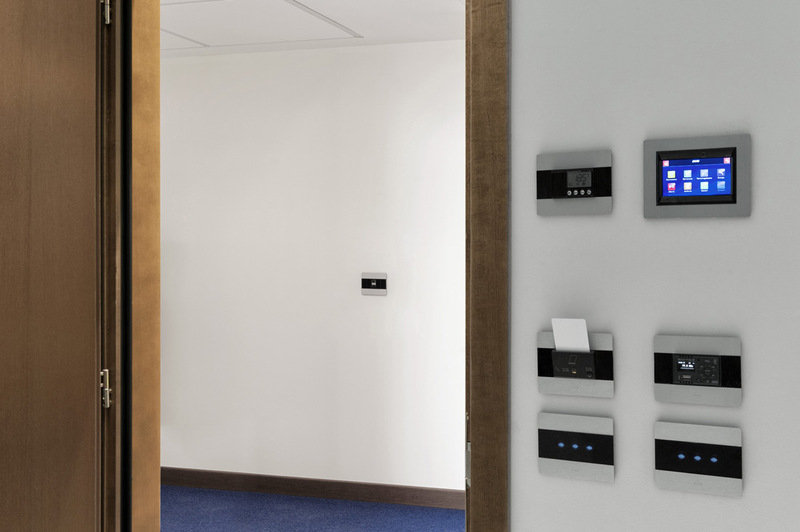 The modern touch is provided by the practical Ave Touch commands. 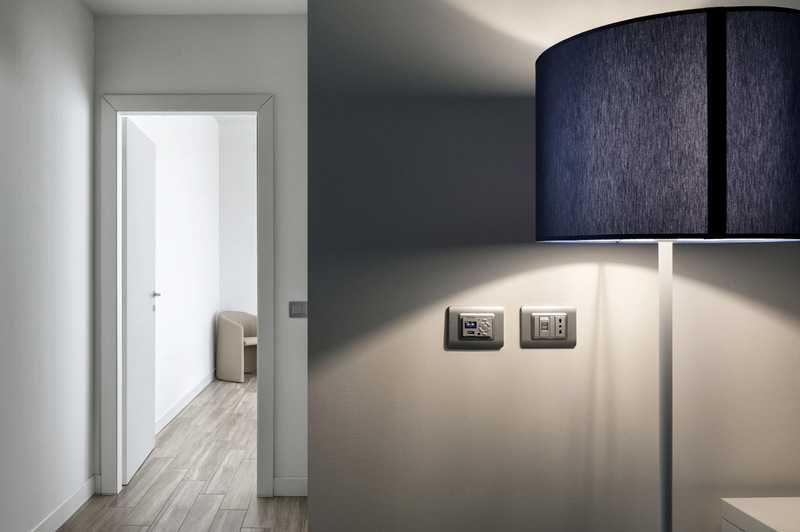 Hidden behind the Allumia Touch front plates in natural brushed aluminium, these commands inaugurate a new contact with the switch. 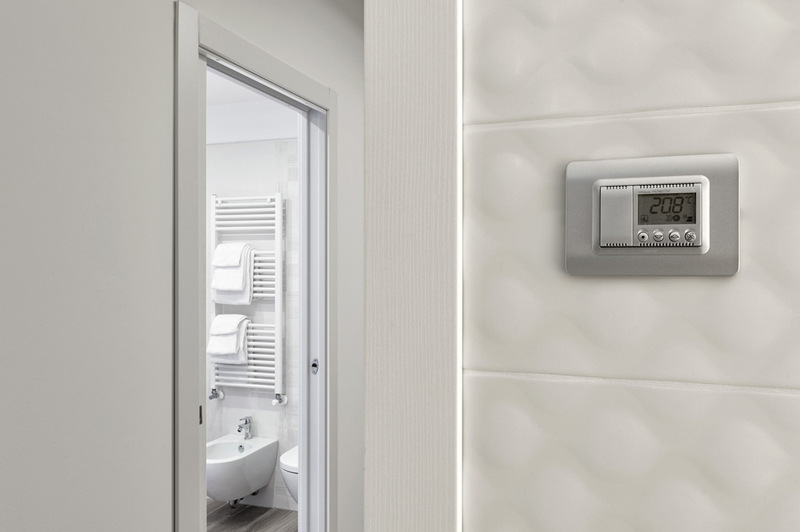 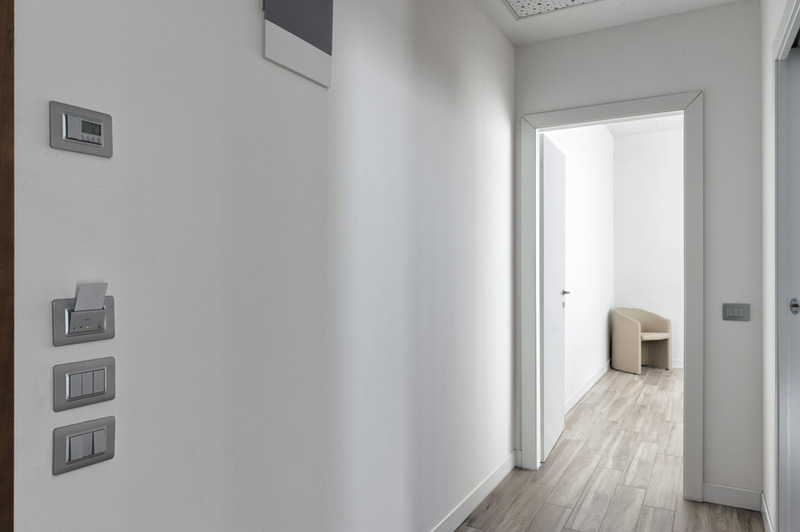 Simply by touching an area you can control the connected devices and recall the integrated hotel automation functions. 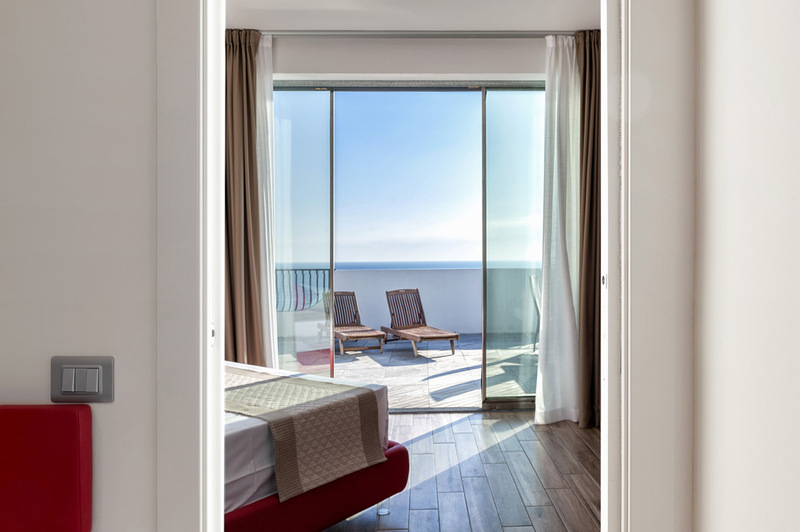 Inside the Hotel Nettuno it’s also present the new TS01 touch screen. 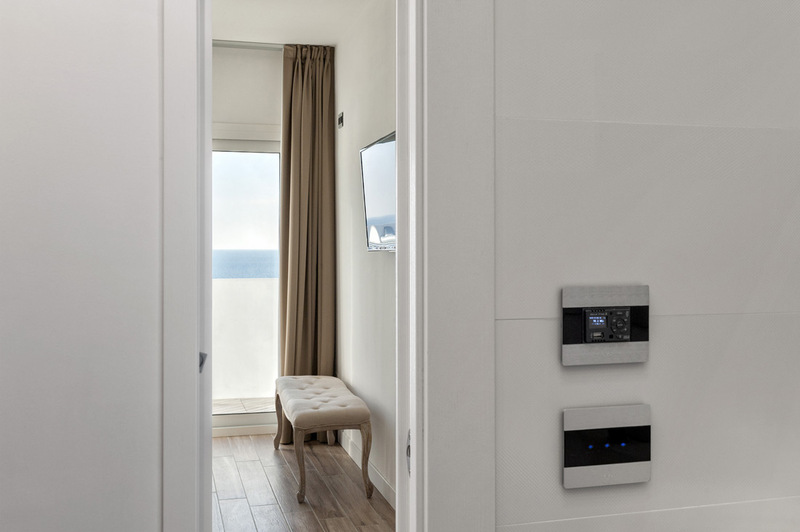 An elegant 4.3" room supervisor display that expands the guests’ services, a high advanced device that is able to perform all the functions of evolved DOMINA automation system. 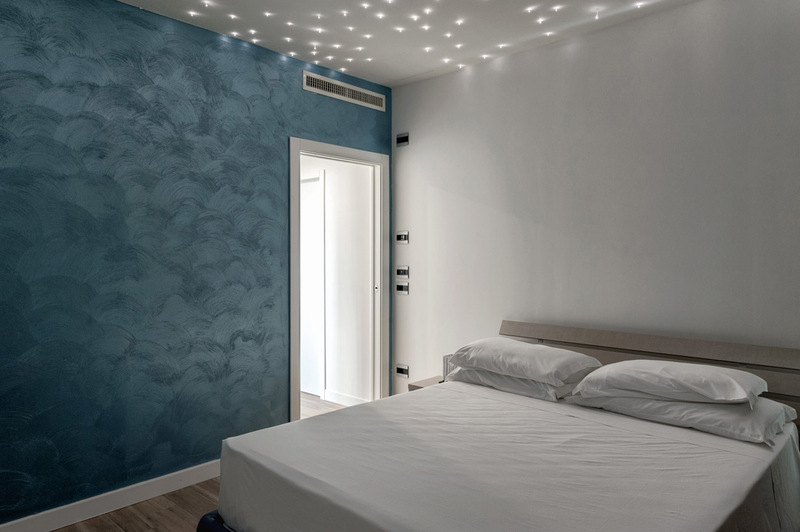 From suites to standard rooms, from aparthotel to the romantic room, on each wall are clearly visible the Allumia 44 elements. 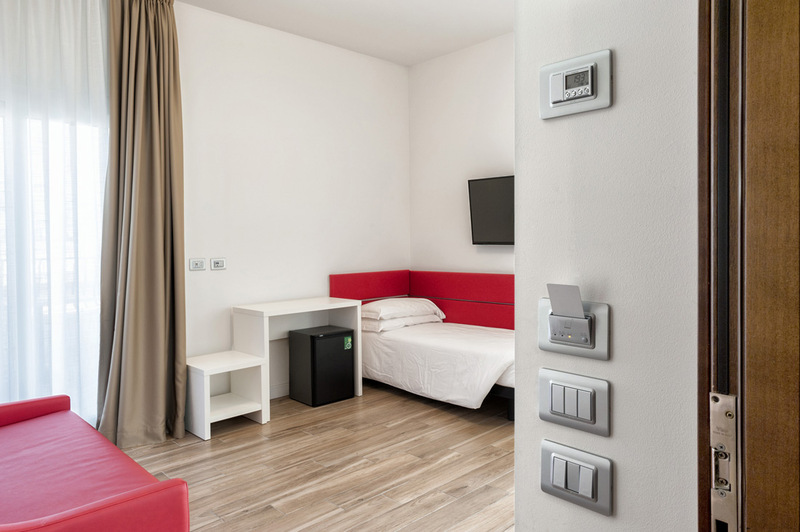 AVE card readers provide a secure and reliable access system for the rooms and integrated services, electronic thermostats guarantee full control of room temperature, the built-in universal USB chargers allow quick charging of tablets and smartphones without any portable charger. 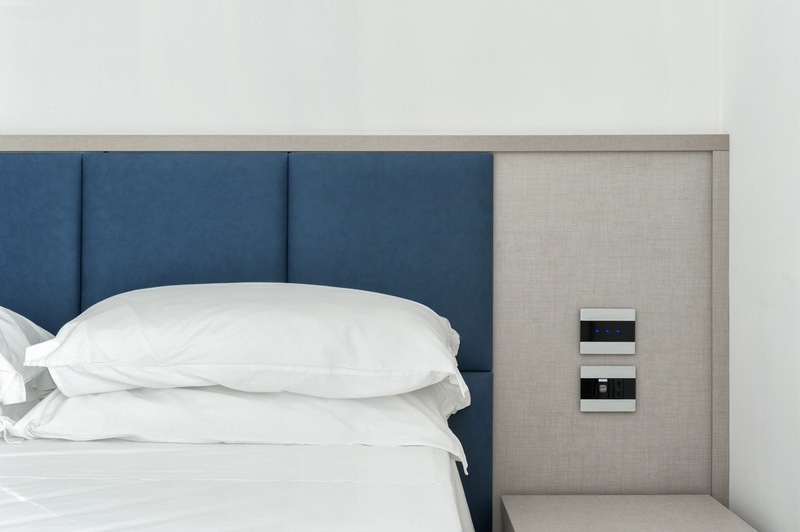 Thanks to AVE and its wide range of products designed for hospitality, Hotel Neptune is able to provide its guests maximum comfort, technology and an innovative touch offered by Ave Touch front plates and hotel automation touch screen.